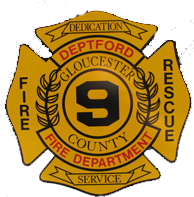 On November 16, 2018 Squad 921 was special called into Westville to assist with an uncontrolled natural gas leak at a residence in the 500 Block of Delsea Drive. On their arrival, Squad 921 was detailed to pick up a fire hydrant in the 600 block of Delsea Drive and stand by. Two crew members were sent forward with meters to assist with the metering the surrounding house. PSEG arrived on location and situation was placed under control and the companies were released shortly there after.